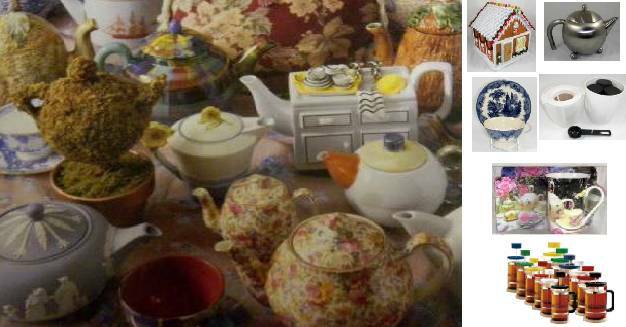 A selection of cute Christmas motif items for your home and table. Adorable snowmen stand on either side of a decorated light pole. 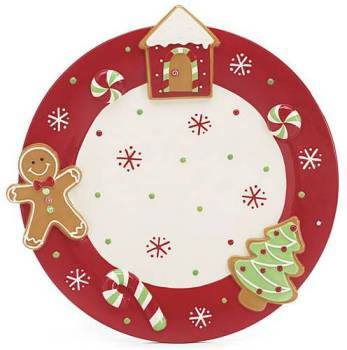 A lovely nostalgic plate perfect for leaving cookies out for Santa. 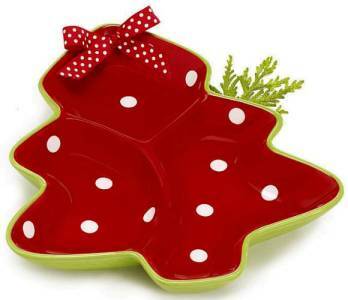 Holiday tree shaped hand painted ceramic three sectional tray. 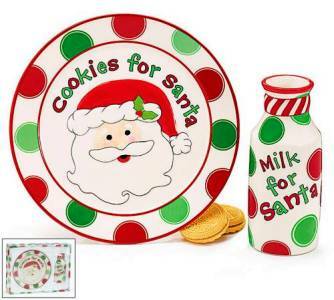 Hand-painted ceramic cookies and milk for Santa gift set in a gift box. 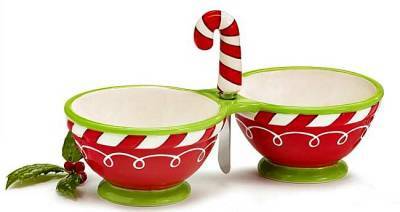 Tree shaped relish dish with 3 interior bowls and red background with white polka dots. Hand painted ceramic gingerbread platter with raised icons. Hand-painted serving bowls perfect for serving dips, cheese or relish. Cute milk can shaped salt and pepper shakers sit in a gold stand. 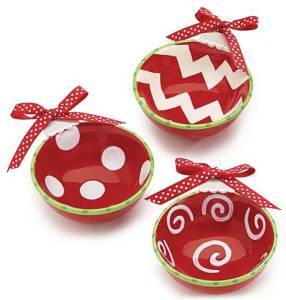 Set of three red hand-painted ceramic ornament shaped bowls. 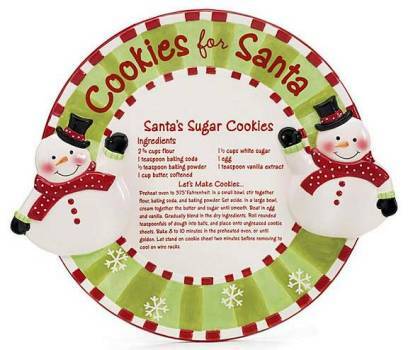 Hand painted ceramic Cookies for Santa Platter with recipe in center.